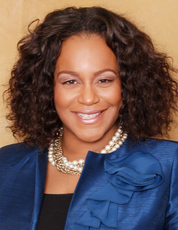 Knitasha Washington, MHA, FACHE is a multi-dimensional health care professional with more than fifteen years cumulative industry experience. She has a demonstrated skill managing public health campaigns, consultative performance improvement projects, policy analysis, organizational process improvement engagements, workflow analysis and organizational structural redesigns. As a health care disparities and diversity advocate with extensive knowledge of safety net, public and academic medical center operations her skill set includes program development for community based initiatives to include policy and advocacy. Knitasha is a high functioning relationship manager with a working knowledge of collaborative strategies working in concert with public officials, governmental agencies, allied associations and hospital administrators. In her current role with Aspen Healthcare Metrics (Denver, CO) she works with clients to employ “best practice” non-labor expense management strategic plans. Prior to Aspen, she was a Principal Consultant with University Healthsystem Consortium, serving a membership of academic medical centers and Senior Consultant with Navigant Consulting specializing in constructing and labor-expense management and performance improvement strategies. Knitasha is a Fellow of the American College of Healthcare Executives and the current President of the National Association of Health Services Executives Chicago Midwest Chapter. The National Association of Health Services is an organization of health care professionals from all around the nation, who actively pursue excellence in the field of healthcare management and advocate for the medically underserved. Knitasha also serves on various other Boards which includes the St. James Health System Missions HR Committee, Cross Roads Coalition of Cook County Southland and Fertile Ground Foundation. In 2009, Ms. Washington in the memory of her late father expanded her intellectual capacity when she began representing and advocating the importance of diversity in the patient safety discussion and was nominated to serve on an advisory council under the Coalition for Quality and Safety of Chicagoland. In 2011 her work in patient safety extends to her latest appointment to the University of Illinois at Chicago (UIC) title “Seven Pillars Project: Crossing the Patient Safety-Medical Liability Chasm Consumer Advisory Board. To her credit have been extended many nominations and awards including, 2009 NAHSE National Young Healthcare Executive Award and the featured cover story Spring 2010 of Girlfriends HealthGuide Magazine. Ms. Washington has completed international health studies in Geneva, Switzerland at the World Health Organization, the Country of Belize and is slated to attend the 2012 World Congress on Public Health in Ethiopia. She serves on the NAHSE National Policy and Advocacy Committee and is the founding sponsor and developer of the NAHSE Chicago Policy Committee. Her work has been paramount in NAHSE Chicago’s involvement in local policy issues and nationally with the NAHSE formalized partnership with the AMA’s Commission to End Health Care Disparities. Ms. Washington is currently finalizing research regarding building a diverse pipeline within health care workforce toward the completion of her Doctorate of Health Administration degree and Certificate in International Heath Studies at Central Michigan University (graduation expected 2012). She has a Masters of Health Administration and Bachelor of Arts from Chicago State University. Knitasha’s vision is to continue serving through her outward extension of ministry byway of her work in health care. This “work of ministry” is clearly defined in her daily efforts that work toward bridging the gap in understanding among people of different backgrounds and classes in its effort toward economic improvement and improved health outcomes…a life committed to transformational leadership with a servitude spirit. She lives a beautifully whole life with her two children Knadya and Antwon.